Hot fomentation of the injured or inflamed area enhances the threshold of pain and thus reduces the perception of pain. It has a synergistic effect along with pain-relieving drugs. Raising temperature of the injured tissue also enhances the blood profusion and the healing process. Hot fomentation has a relaxing effect. Cold compress helps in reduction of inflammation in injuries, protects by slowing the metabolic rate around the tissue, reduce oedema and bleeding. Cold compress helps in immediately lowering fever, in very high fever conditions. It can be used after an acute injury or surgical procedure. 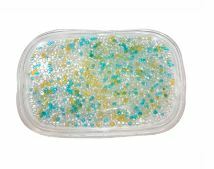 Made out of non-toxic, biodegradable, colorful beads with extremely pleasing looks, which remains soft and flexible upto 0 degrees. It is durable, and puncture resistant. It is flexible to conform to body contours. 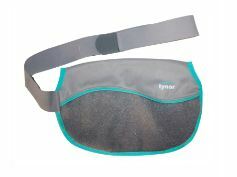 Versatile product can be used as a cold press to reduce body temperature, swelling, and odema. Can be used for hot fomentation for muscle spasm and pain headache, injuries and boils. Temperature range –0 Cº to 75Cº. It has long temperature retention. It is reusable. 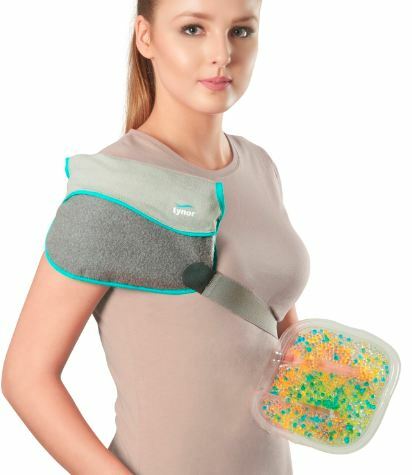 Fabric cover ensures no cryo or hot skin burns, The elastic belt enhances convenience, holds the pack against the body and makes it hands-free.